If the Queen of England booked a gig at Fernbrooke's only theater to do a lyrical jazz routine with a unicorn, I might've had an easier time finding parking that I did that night. I dashed down Main Street, stumbling over my own feet as I texted Jin that I'd be there soon. Conveniently, I left out the part where I'd sat in the driveway for twenty minutes, covered in seat, visualizing either a mob scene or an empty building. Neither possibility stopped the hum vibrating through my skin or made it easier to start the car. That took a few deep breaths,and the knowledge that if I backed out, Jin would show up and drag me there anyway. 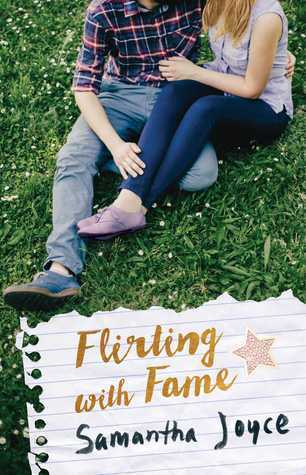 Flirting with Fame by Samantha Joyce was an enjoyable, though predictable, new adult chicklit novel. I was drawn to it because it was a light story, but also because it reminded me of some teen movie or something from my youth. I'm still recovering from reading dark thriller Feathered Bone by Julie Cantrell and this seemed the perfect book. Main character Elise was left deaf and scarred after a traumatic accident wherein her best friend's sister died. The only place sound exists for her now is within her imagination. An imagination that she uses to create a bestselling novel at the age of 16. However, Elise is almost debilitating shy. Whether she was already this shy before the accident or is as a result of it is unknown. When her publisher requests a photo for the back cover, Elise does what any shy teenager would do - she turns to Google and grabs an image. Now her books are being turned into a television show and she is required on the set. From the opening chapter I had two main thoughts that plagued me throughout the story. One, it reminded me so much of Rainbow Rowell's Fangirl - the characters, the college setting. Which led me to two, was this originally fan fiction? I'm not sure if it was just the similarities to Fangirl or if it was also the employment of fan fiction tropes (or at least story elements that I associate with fan fiction), especially the "creative license" Joyce took to advance the plot. In fan fiction, "creative license" is usually code for "I didn't want to take the time to learn about how something works in the real world". When writing fantasy, creative licensing is called world building and is totally acceptable. I find it a tough pill to swallow in realistic fiction, and particularly in published books. I understand that the story wouldn't have worked if Elise had ever had a face to face meeting with her agent or publisher or if her parents had been involved in the sending of the picture. In real life, do literary agents and publishers sign authors without ever meeting them? Elise can still speak and she has excellent lip reading abilities, so a Skype meeting wouldn't have been out of the questions, particularly if travel wasn't possible. Even with these thoughts, I enjoyed the Flirting with Fame. I loved that Joyce didn't just use a shy nerdy girl as her main character, but instead gave her a disability and physical scars that would make anyone a bit more self-conscious. I usually shy away from "new adult", particularly in romances because it seems to be code word for "erotica with barely adult characters". While there are adult scenes, they are pretty mild. I still could have done without them all together, as I found the scenes boring. As for fluffy reads, Flirting with Fame is a good one. Even with the things that bugged me about the book, I loved the characters that I was able to overlook it and keep reading. I'm also happy to see that this was book 1 in a series and I hope we get to delve back into the lives of Elise, Gavin, Reggie, and Clint and perhaps even see more of Veronica. I like the chatty style of the opening paragraphs. I like the opening you shared quite a bit, although your questions about this one give me pause. I think I would be bothered by that too. Sometimes it's fun to escape with a fluffy chicklit book, especially after reading something heavy. This sounds like it would be fun. I agree with you on the "new adult" and that is one of the reasons I rarely read NA anymore, except for a few. This one actually looks really good and whether it's NA or adult, I love a good, fun, cozy book. I don't think this is a me book, but hoping you like it. I'm always open to chick lit. The pop-up email list on your blog that won't go away is kind of bothersome. Are you using a mobile device or on a computer? 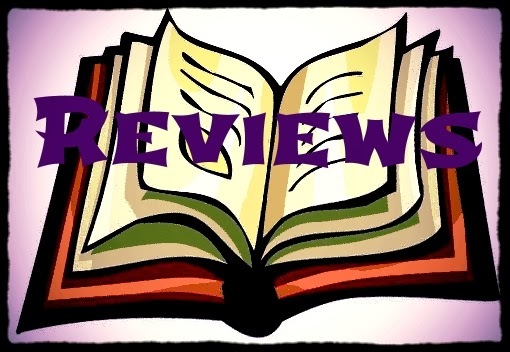 I really liked your honest review of this book. You explored the pros and cons in a very balanced way, and greatly appreciate that! I don't usually read much contemporary romance, as I prefer fantasy and paranormal romance. Still, this might turn out to be an interesting read for me. Thanks for featuring it!